No waiting for days or weeks to see your TV again. Get it now! Make sure you get the best in lamps, make sure you only get a Toshiba! for $139.99 with exchange of your old lamp housing. Or you can buy the complete unit outright for $169.99 & get $20.00 refunded back when you return your old lamp housing (dud or core). Or you can buy the bare bulb for $129.99 & Do-it-Yourself. Visit parts-e. com for a printable special in store coupon or mention this ad for $5 off the above exchange price. Three time winners of the 2011, 2012 & 2013 Phoenix Award in the Electronics category by the US Independent Business Association (USIBA). Visit parts-eDOTcom for a printable in store coupon. 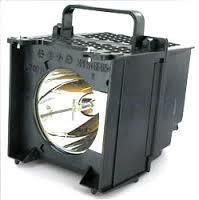 We sell all types of DLP / LCD parts, including remote controls, color wheels, ballasts, etc. We will install in your set for $60.00 extra to most valley metro areas (credit card only).